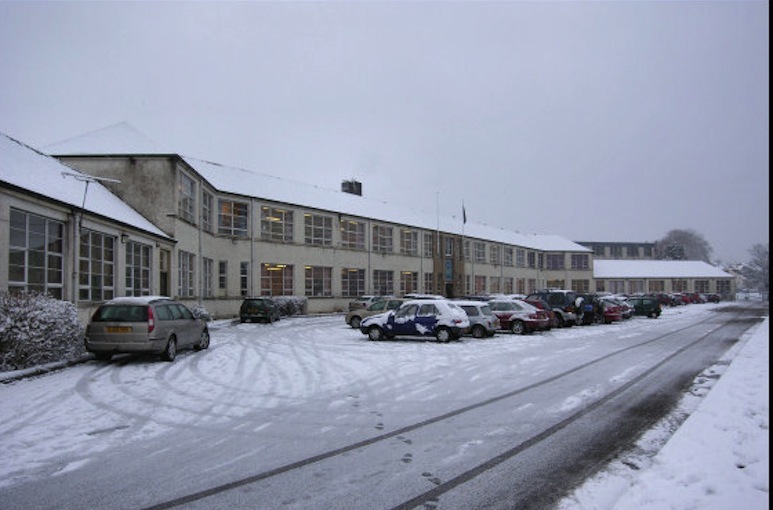 The 1939 Academy described as on Tulloch Brae on History page. 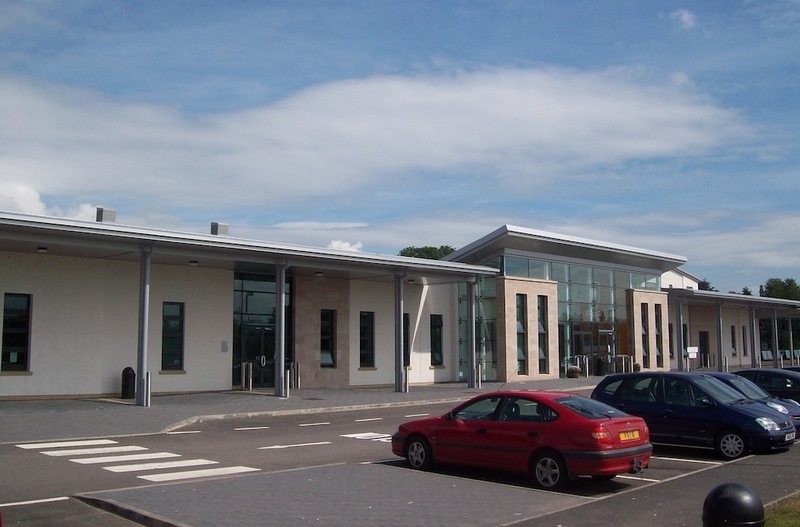 Demolished and replaced by the one above in 2008. 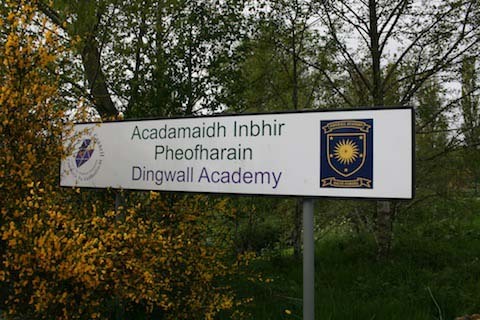 Right: There is a clock on this modern structure which, when seen from the front, shows DA for 'Dingwall Academy'. 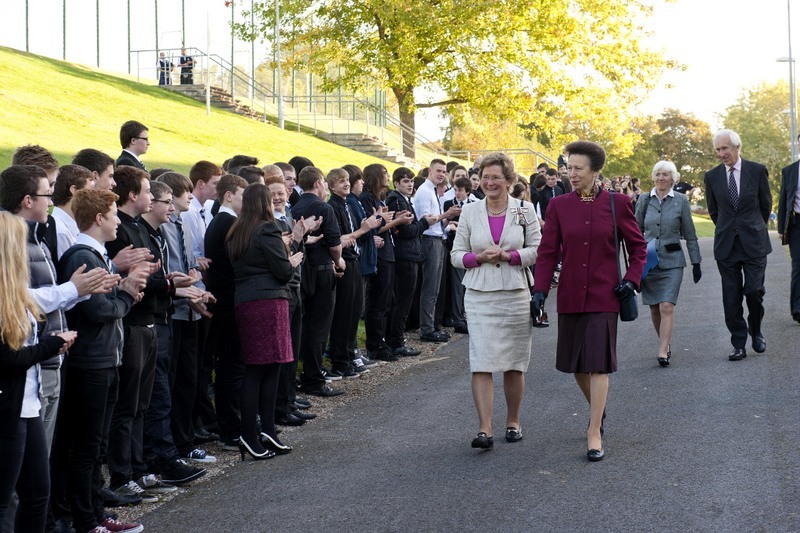 Missing picture - unveiling of Academy War Memorial. 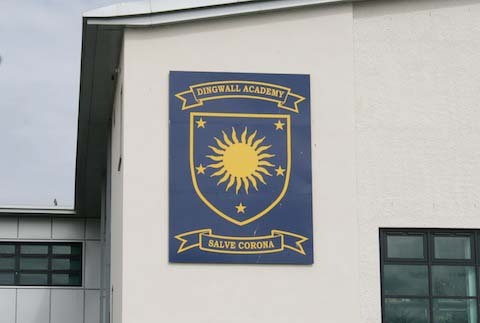 Left: Dingwall Town Crest on the wall of East Wing. 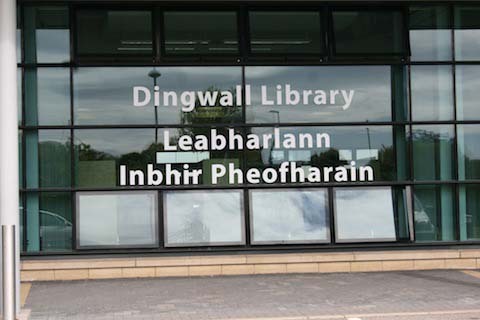 Right: Dingwall Public Library is actually located in the Academy and provides services to it. 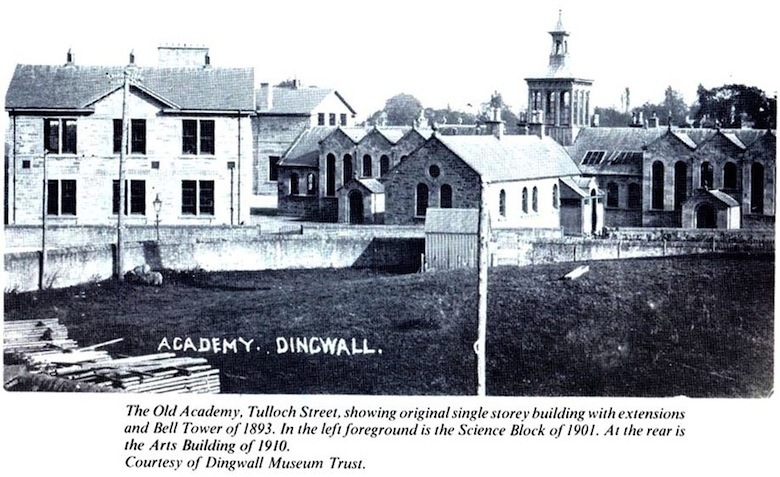 The origin of the Academy was a church school in a thatched building, then a purpose-built one in 1833 on a site, now Caberfeidh Avenue. Then came Tulloch Street, followed by Tulloch Brae in 1939. 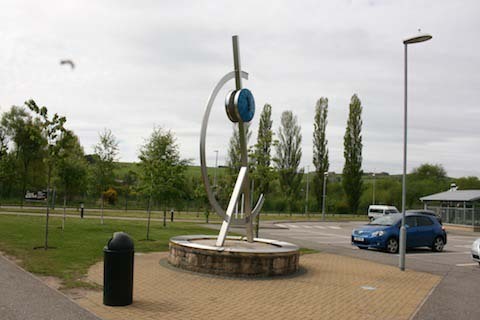 No photograph, or drawing, has been found of the first Caberfeidh Avenue one.